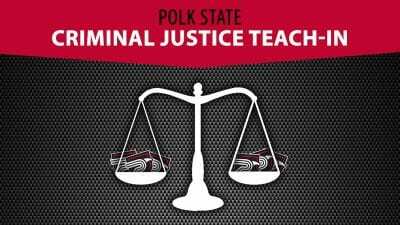 Polk State College’s Kenneth C. Thompson Institute of Public Safety has once again received a perfect audit from the state. The Florida Department of Law Enforcement, through its Criminal Justice Standards and Training Commission, regularly inspects all 40 of Florida’s criminal justice training academies. During the weeklong audits, FDLE representatives travel to each academy, delving into expenditures, records and procedures, instructor certifications, and adherence to other requirements. Polk State’s KCTIPS received perfect marks during the May audit, and received a certificate for the achievement earlier this month during the CJSTC’s quarterly meeting. Polk County Sheriff Grady Judd extended his congratulations to KCTIPS for the audit results. “This is one of the very best academies in the nation. I am proud of what Polk State College and our local law enforcement partners have accomplished. We are leading the way with state-of-the-art professional law enforcement education and training,” he said. This is not the first time KCTIPS has received a perfect audit from the FDLE. Its reviews have been flawless since 2006 and as a result it has had to undergo the audits only every two years; sites that do not receive perfect reviews are audited annually. “What this says is two things: We are doing what we are supposed to be doing, and we are good stewards of taxpayer money,” said KCTIPS Director Capt. Bill Mann. A look at the audit report shows that the CJSTC recommended no actions to improve KCTIP’s operations, including delivery of Trust Fund training, which refers to advanced and specialized classes for law enforcement personnel that are paid for through state funds, as well as delivery of basic training for new recruits. KCTIPS checked out perfectly in all categories and subcategories, including expenditures of state funds, certifications held by instructors, recordkeeping of student participation and performance, and classroom and training facilities. “During the audit process, we have to account for every penny of state money we spend. They also look at student scores, student sign-in sheets, course evaluations, instructor certifications. You name it, they go through it,” Mann said. FDLE field representative Chuck Reaume performs spot checks at KCTIPS between audits, and he is always pleased with what he finds. “This is a stand-up operation, and they do an excellent job,” he said. Reaume added that KCTIPS adjuncts represent a variety of law enforcement agencies throughout the county, and program coordinators represent the Lakeland Police Department, Polk County Sheriff’s Office, and Winter Haven Police Department, making for especially outstanding instruction. The recent audit looked at fiscal year 2010-11, during which KCTIPS delivered nearly 30 advanced or specialized training courses and provided eight academy programs for 180 students. The work that goes into achieving perfect audits from the FDLE translates to superior performance in other areas, Mann said. For instance, during the same time period of the audit, 95 percent of KCTIPS recruits passed the CJSTC State Officer Certification Exam, the third highest rate among the state’s academies and better than the state’s overall passage rate of 87 percent. Also, KCTIPS is one of only two-dozen training academies in the country accredited by the Commission for Accreditation for Law Enforcement Agencies. Mann gave credit for Polk’s continued streak of perfect audits to KCTIPS program coordinators, administrative assistants and the College’s business office. 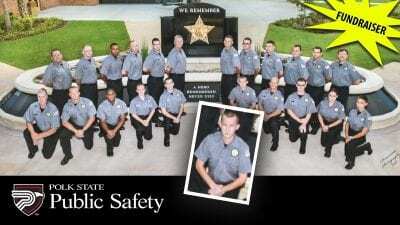 In addition to training provided through KCTIPS, the Polk State Public Safety offers associate’s and bachelor’s degrees in Criminal Justice, as well training and degrees in Emergency Medical Services and Fire Science.